Many of the painters include a link to the location. Right now they have lots of paintings of Cape Cod, Massachusetts. 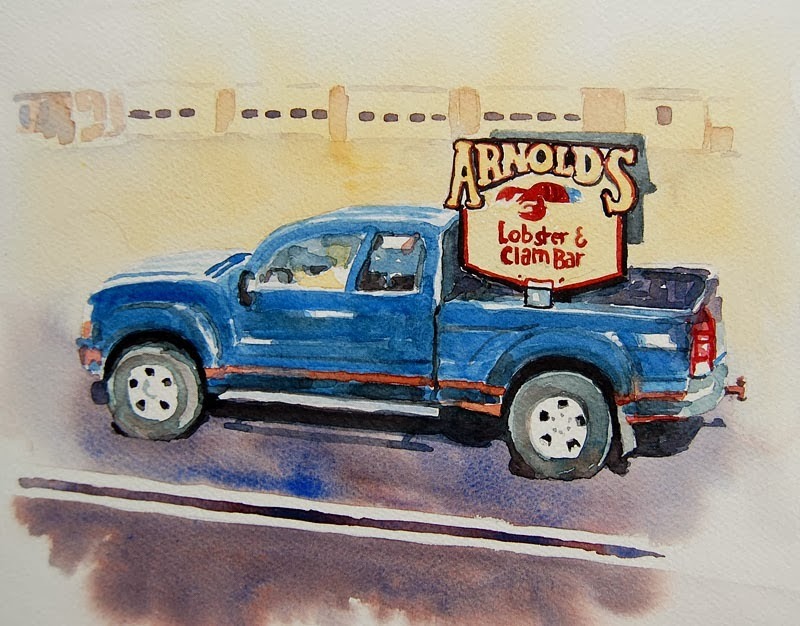 Graphics: Painting of Arnold's Lobster truck in Eastham, MA, on Cape Cod and the original GE street view it was based on. 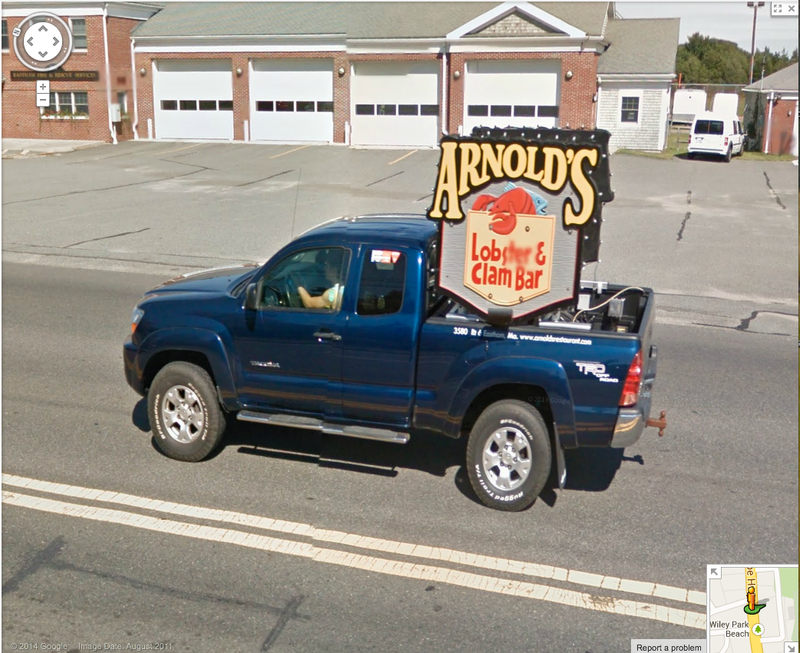 This is the link to the GE street view: LINK. But I can't link to the painting. Currently you can search the painter's name - Eileen Black - at the Virtual Paintout main page.